OncoCyte said today it intends to advance development of its blood-based lung cancer diagnostic test to the clinical validation phase, following what it called successful results from a study of its product. The reserch generated data that, according to OncoCyte, exceeded levels deemed necessary for a commercially successful test. The company offered no specifics, saying it could not disclose key performance metrics until they are presented at the American Thoracic Society (ATS) 2017 International Conference, set for May 19-24 in Washington, D.C.
OncoCyte said its study results were “consistent with” an earlier study of the diagnostic by The Wistar Institute of Anatomy and Biology. In results reported at the American College of Chest Physicians’ CHEST 2016 Annual Meeting in October 2016, Wistar said the area under the curve was 0.82 with a sensitivity of 90% and specificity of 62%. “If the assay continues to perform at these levels, it could create a significant improvement in the standard of care in lung nodule management,” Anil Vachani, M.D., associate professor of medicine at the Hospital of the University of Pennsylvania, said in a statement. Dr. Vachani is lead author of OncoCyte’s study of the lung-cancer diagnostic, and is set to present results from the study at ATS 2017. OncoCyte’s research used Wistar’s biomarker panel, which the institute has exclusively licensed to the company. The study developed and tested OncoCyte’s proprietary algorithm, using approximately 300 samples collected from patients at 26 community based, academic, and government sites nationwide. Samples were collected from patients with nodules ranging in size from 5 mm to 30 mm. OncoCyte said it will continue carrying out analytical validation studies to refine its operational stage laboratory processes, as well as apply for certification of its CLIA diagnostic testing lab. Upon certification, OncoCyte will conduct a small CLIA lab validation study to show that the full assay system used there provides the same results on clinical samples as those obtained in the R&D lab. That will be followed, OncoCyte said, by the launch of a clinical validation study using the finalized algorithm and operational procedures on a new set of at least 300 blinded ,prospectively collected samples, to confirm whether the sensitivity and specificity of the test remain within commercial parameters in a CLIA operational setting. OncoCyte anticipates introducing the test commercially in the second half of 2017, seeking to be the first company to provide a highly accurate non-invasive confirmatory blood test for lung cancer. 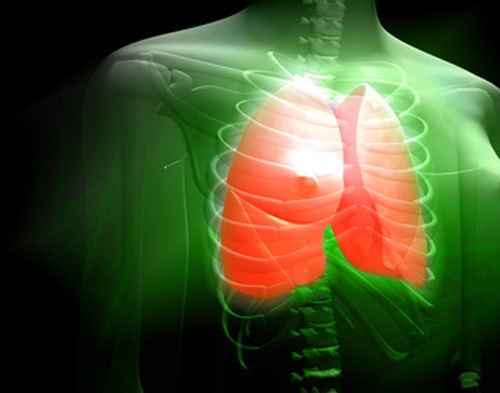 Citing the American College of Radiology Lung CT Screening Reportiong and Data System (Lung-RADS) guidelines and National Lung Screening Trial (NLST) data, the company estimates that in the U.S., approximately 1.4 million patients annually could benefit from the test. Based on that number of patients and OncoCyte’s currently planned pricing, OncoCyte reasons that the total market for its test could potentially exceed $4 billion. That pricing would average $2,857, compared with what the company says, citing Medicare estimates, is the approximately $15,000 average cost of an invasive lung biopsy.